Margaret Grotek, manager of Farmtown Park is there to help you every step of the way. Local businesses can help make your event a great success. 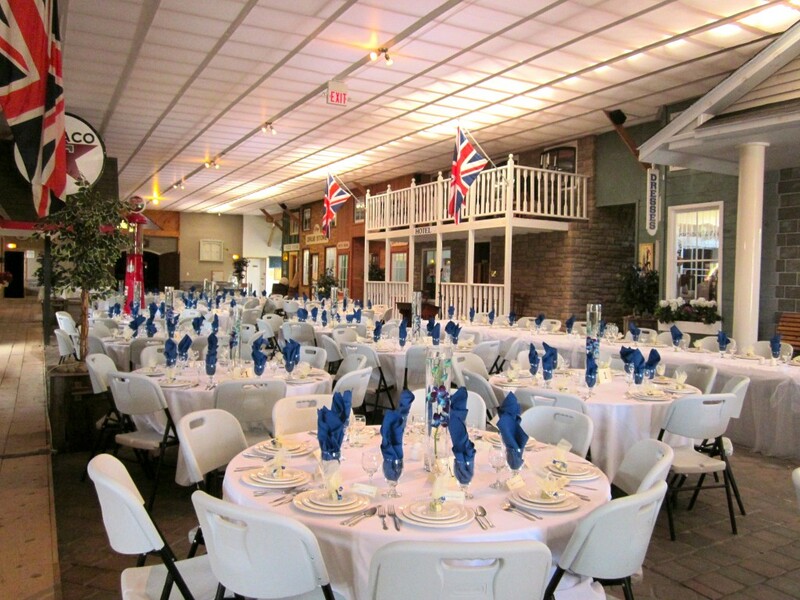 Gourmet Kitchens – Social Catering Ltd.
Encore Tents – tents, table and chairs rentals. Perfect for weddings, showers, parties, anniversaries and corporate events. (905) 355.2765, 297 Honey Road, Colborne, ON K0K 1S0. Your Wedding, Your Way Larry Hurley, Ontario Licensed Wedding Officiant. Affiliated with All Seasons Weddings. (613) 968-3125, by cell (613) 922-8338 or toll free 1-866-350-9227. Steve Buskard, Belleville Bulls P.A. Announcer, Disc Jockey Services, Wedding and Party Specialist since 1985, (613) 969-9802. Please go to Comfort Country for information about accommodation in the area, including bed and breakfasts, motels and hotels.